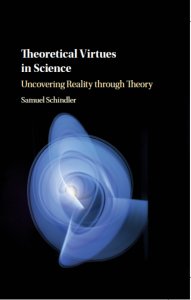 Theoretical Virtues in Science: Uncovering Reality Through Theory, Cambridge University Press (2018). “An impressive achievement” and “a source of new and provocative ideas” (Greg Frost-Arnold for Notre Dame Philosophical Reviews). This book offers an in-depth discussion of the features that characterize good scientific theories. Theoretical virtues, as these features are also called, include testability, empirical accuracy, consistency, unifying power, simplicity, and fertility. Theoretical virtues play an important role in theory-choice, as they guide scientists in their decisions to adopt certain theories and not others. Theoretical virtues are also important for what we choose to believe in: only if the theories we possess are good ones can we be confident that our theories’ claims about nature are actually correct. By means of historical cases studies, this book challenges parts of the received view of theoretical virtues and, based on a reconsidered view, advances arguments for the belief that science successfully uncovers reality through theory. Buy at CUP website [use discount code ‘schindler2018’ at checkout for a 20% discount] or amazon.co.uk. Preview available at Google Books.